Or in other words, call upon the masters when you want it done right. 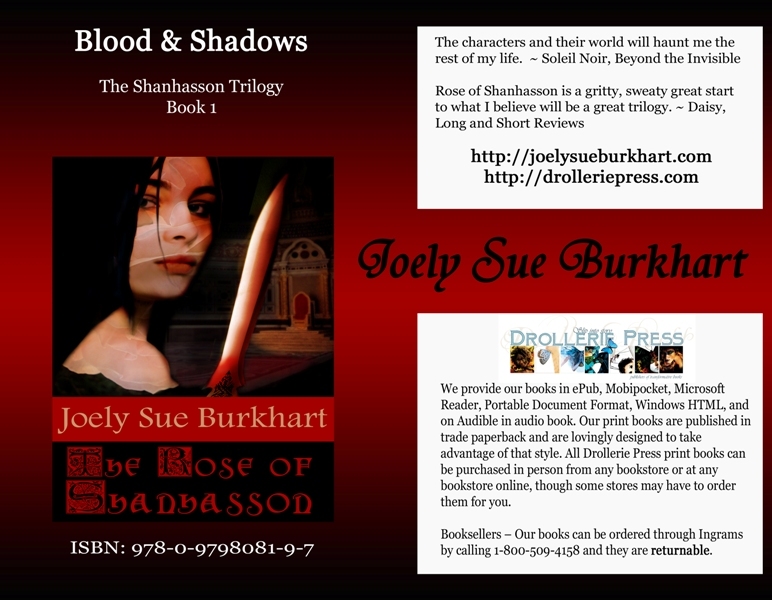 Instead of writing today, I decided I would try my hand at creating a flyer for The Rose of Shanhasson. I’m lining up a bunch of promo mailings for the print release in December, and the deadlines are fast approaching. Everything has to be done MONTHS in advance. But it didn’t have that magic I was hoping for. Hey, this is my FIRST print release. I want it done right. So I sent it to Deena, the mastermind behind most of Drollerie’s incredibly unique and beautiful cover art. Bless her creative little heart, she took the cover flat and whipped up a very attractive flyer. It looks like art, not like an inexperienced person trying to use PhotoShop! I hated adding another thing to her light-year-long list of to-dos, but wow, she does gorgeous work. So the VistaPrint order has been placed for 100 flyers. If I didn’t screw anything up in the upload and everything looks good, I’ll order a ton more and get ready for the first mailing. Okay, so here’s the difference between an amatuer PhotoShopper (mine on the left) and a professional (Deena’s on the right). Click for larger version. God, that art is exquisite, isn’t it? 😯 That’s my quote! 😳 Eeeeeeee~! *MORE happy dance* Thank you Joely! Isn’t she just the BEST?? I love Deena’s talent to death. It’s a lovely flyer – really great. 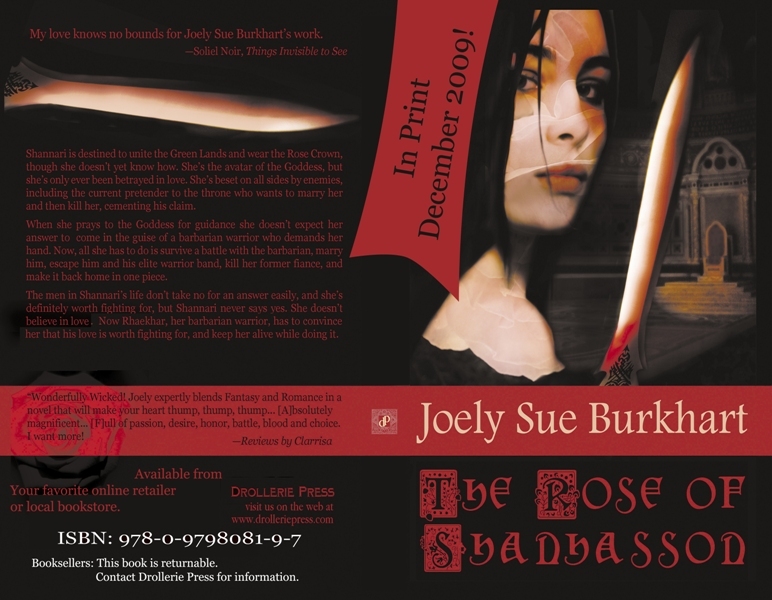 A good friend and I are thinking of doing bookmarks as a promo item. Actually, hers looks rather like a coverflat, no? You guys are very kind. @Kathi, let me know when and I’ll do a template for you. @May, that is the coverflat, minus the spine and with a couple of additions. Beautiful. Joely, I’m so thrilled for you. Deena, as always, it’s stunning and captivating. Good heavens – that wasn’t a hint – but I’ll NOT say no! Thanks!